More than 70 advisors for your convenience; specialists in logistics and all clearance processes. Experience at serving you with over 60 logistical processes; getting your product to its warehouse with quality attention and personal care. Coverage in all the country’s customs zones, with the full attention of your own advisor. We provide integral logistical services that permit import or export of merchandise, all the while protecting our clients’ investments. This organization was founded by Attorney Edgar Lorenzo Fernández Madrid, graduate of the prestigious National Autonomous University (UNAM) with a degree in Tax Law, Legal Aspects of Foreign Trade from Mexico’s Autonomous Institute (ITAM) and studies in advanced business leadership from the Panamerican Institute of Business Administration (IPADE). August 2008 saw the birth of the firm ‘Consulting and Services for Logistics and Customs Proceedings’, Consultoría y Services en Logística y Trámites Aduanales S.C. (CONSELTA), operating under customs patent number 1573 and national tax patent authorization 3946. 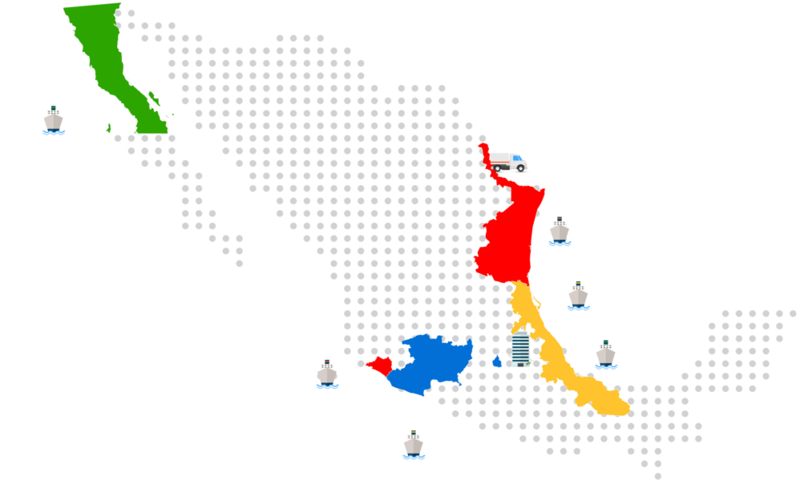 We now have our own offices in the country’s principal port cities: Ensenada, Lázaro Cárdenas, Manzanillo and Tuxpan. In January of 2016 Integradora Logística Fernández S.C. (FEME Logística) was incorporated to operate jointly, and is supported by our customs patents. FEME Logistica has the ISO 9001:2015, NMX-R-026-SCFI2016 and Authorized Economic Operator (OEA) certifications; that supports our operations and provide greater security to the client´s dispatches. 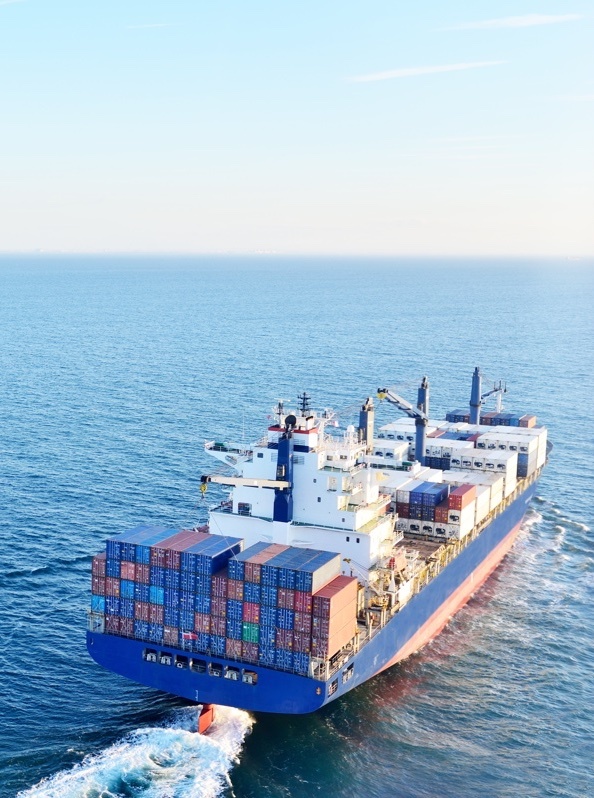 Putting your logistics operations in the hands of our advisors will offer the legal certainty that your merchandise complies with all conditions set by Customs Law. Minimize the risk of incurring sanctions issued for inexact declarations, based upon imprecise tariff classifications. Our advisors classify your merchandise correctly. Streamline delivery times with our “Door to Door” service. We handle receiving from the provider’s installations, warehousing and distribution to the final user, all in a timely and appropriate manner. Moving your product from one place to another via land, sea or air; always under optimal logistical conditions. According to your requirements, we advise upon insurance options, from basic to comprehensive coverage. Place your official proceedings and paperwork in our hands so all permits and certifications will comply with customs requirements. Work with us directly from your plant or warehouse. Together we’ll coordinate your foreign trade activities. Assure compliance with official Mexican standards before selling your merchandise. 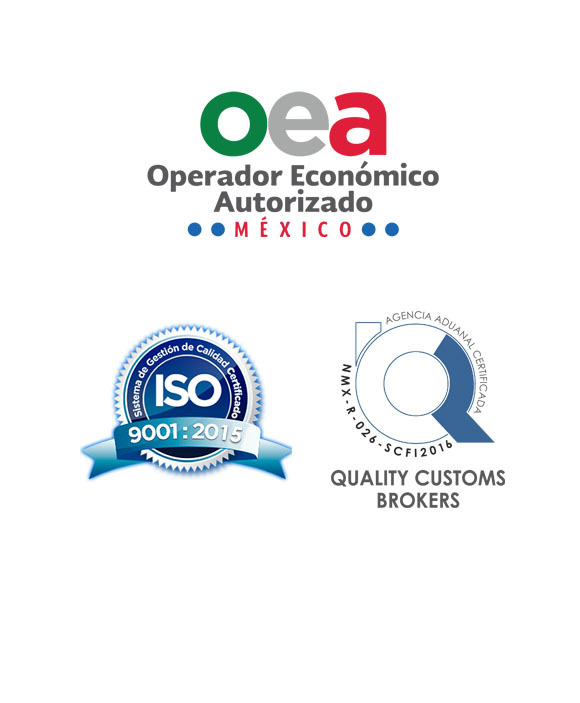 We confirm that your products will meet all official Mexican import or trade standards (NOM). Our advisors’ experience, training and continuing education all support a climate of quality consulting. We advise upon how to find the best logistics proposal for your merchandise. We integrate logistics, infrastructure and technological tools, creating strategies designed especially to aid in reducing costs for importers and exporters. Our IT department created SOFIAA Software, which facilitates internal or interdepartmental communication and permits immediate reports to our clients as to the status of their merchandise, by allowing control and timely follow-up of all our clearances. Strategically placed in the country’s most active foreign trade zones. It’s a pleasure to serve you! Since 2008, FEME started operations with 5 collaborators. Our commitment: Be a competitive, innovative, and humane company, oriented to the total satisfaction of your clients. The talent of our collaborates do FEME Logística a solid, and socially responsible company with presence in the main ports of Mexico. For this reason, we invite you to make a career with us, to develop and realize yourself fully, and together provide an exemplary service through continuous improvement, with the guarantee of always offering logistical services with quality and warmth that meet the expectations of our customers.